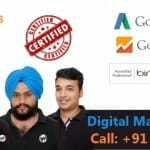 Google Virtual tour services – Are you searching for best Google 360 virtual tour services in India? If yes, you are at a right place. Now a day’s no one has time to check out a place before the visit. Everyone wants the comfort while sitting at one place only, whose best solution is to deal only with the phone. Virtual dealing is the best way to resolve with any kind of problem in seconds within one place only. We at WebHopers are the perfect choice when it comes to delivering the Top Google Virtual tour services in Chandigarh Mohali Panchkula India. You can feel free to contact us directly on 7696228822. The Indian government is promoting Digital India and with reference to that, every individual is enjoying the best comfort because of the advancement in technology in every field. Every city and state in India is now becoming digital because of the remarkable progress and development of both the internet and technology. Street View of your business that means customers see inside your business before they arrive. 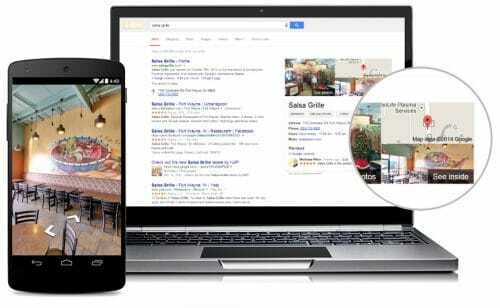 Virtual tours appear in Google search results, Google Maps, and Google+ local pages. You can link the panorama tour to your website to further enhance your customer’s online experience. So, if your business still does not have this amazing service, then this is the right time to get it. How to make Google Virtual Tour? Google virtual tour is doing the rounds for being the best service in existence. With this service, people can have the utmost convenience of watching the place where they want to visit. 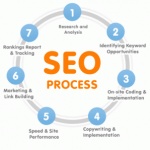 It has now become a trend for the most obvious reasons, and every small or large company is now getting these services. Below is the list of some of the steps to make the famous Google virtual tour. Use a 360 camera or a panoramic head to shoot fully spherical images. Create your virtual tour with Kolor Panotour software that is available for Windows, Mac, and Linux. Publish your tour online or test it offline. Share with the entire world or offline with your clients. There is some Additional information about Google Map Virtual tool services that will provide the view of 360 degrees with effective and timely delivery. How will Google Maps Business View Virtual Tours benefit you and your business? Google virtual tour provides many benefits to the business and giant companies in attracting the customers. And they also help in impressing the customers to the most levels. You can have the privilege of watching things just by a click sitting on your couch. The technology and internet have definitely made things easier like never before. Google Maps Business virtual view tool helps customers to have a great and better experience and the interactive and incredible session with just sitting in one place only. They also i.e. customers get unique, funny, engaging way to connect with them. 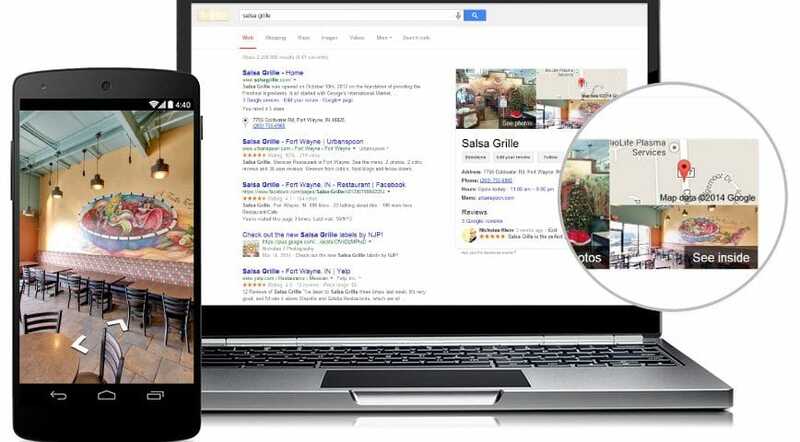 Google Virtual Tour also allows or showcase customers about what your business has to offer, show them what you do and how your business differs from your competitors. Make them alert what actually the real world all about and how to deal with the problem only with sitting in one place and they can also creatively inform and educate your visitors about your business. Whilst reassuring them that a visit to your business is worthwhile with the 360 degrees view of your business via Google Map Virtual tool services. When searching for businesses, consumers use mapping products 44% of the time. This means it includes the business photos, phone number, hours of operation, website and user reviews. Below is the list of some other searches that you should be aware of if you are thinking to introduce virtual tour services to the business. 41% of these place searches result in an on-site visit which is an average stat. A trend of online booking and services are increasing day by day because of the different and exclusive offering by online companies. They provide the maximum amount of discount and packages i.e. more cheaper than on store prices. Listings with photos and a virtual tour are twice as likely to generate interest. People’s belief in online shopping or booking is increased by the virtual view of a site like uploading much more pictures will affect the customer’s mind maximum because of the crisp and clear image of the place where you have to go. Trust factor plays an important role in online purchasing thus according to the survey by Google shopping attitude of people is maximum on the statement i.e. rely heavily on previous experience, using the same businesses/stores and also the belief towards the price consciousness. According to a Forbes article, retailers state that 82% of consumers do research online before visiting a store. These researchers result in finding out the status of the place or how it actually looks like. Google Maps street view helps with the researching process by allowing prospective customers to take a virtual tour before visiting. Customers can learn valuable information from this virtual tool with the convenient and the smart way of doing that. Why choose WebHopers for the Best 360 degrees Virtual Tour Services in India? WebHopers is the best Digital and web Development Company all the India and they also provide the Google virtual Tour services. They believe in serving the best quality and their quality will be going to speak it. Web Hopers is also a partner with Google Virtual Tool service allows the customer to find out the best place within sitting at one place only. So, no need to worry wherever or whenever you want to go somewhere just is here to get the actual view. Somehow you will able to choose the best view and place to visit. So there does no doubt in trust us. They deliver the best quality with the top results and they have the team with highly experienced Senior Developers, Designers and Digital Marketers who operate in India but provide solutions around the world and also we have vast experience in Service and Product industry.